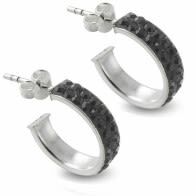 We have a beautiful collection of crystal ring jewelry that will jazz up your personality. 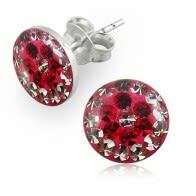 Their super cool looks, style and elegance make them a hot favorite for perfect gifts to your loved ones. Crystal has healing properties and brings positivity and if this can be achieved through gorgeous style, it’s simply awesome. 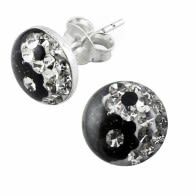 Our collection of Crystal Earrings are a blend of therapeutic properties and accessorizing. 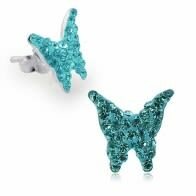 While some of our customers purchase these earrings based upon the type, color, size and cut of the crystal used, others buy it for purely aesthetical reasons. 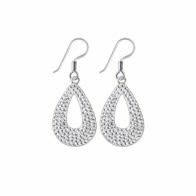 Either ways, these crystal earrings represent a fashion-forward choice. Expect some unconventional designs that have not been tried before in this segment. 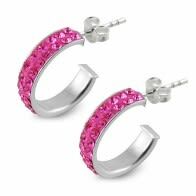 However, you also get the assurance of finding classical earrings crafted in 925 Sterling Silver. Overall, the emphasis is on creating the right blend of exclusivity and cater to shoppers looking for the most popular, classical options. 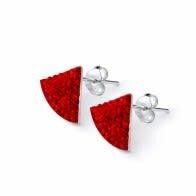 Why crystal earrings make sense for the contemporary woman? 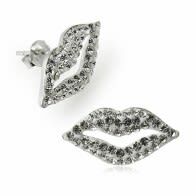 Crystal earrings present an easy way to accessorize. 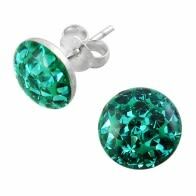 Give the range of colors on offer, you can pick earrings for nearly every outfit you have. 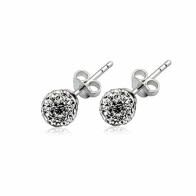 The smartly structured pricing range means, you can buy the perfect crystal earring as a gift or for yourself. This collection is being continuously populated with more designs, using crystals in a manner that fuses classical impressions and contemporary lifestyles. 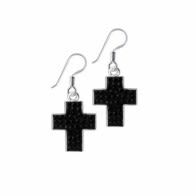 Expect less edgy and more artistic creations here in the form of studs and danglers. 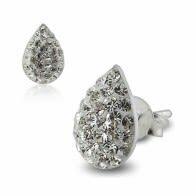 What to expect from the crystal earring collection at Piercebody? Crystal earrings should be an inherent part of a lady’s everyday arsenal. Often dressing-up is difficult and even more critically, accessorizing can take a lot of time. 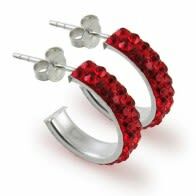 This is when you need a pair of crystal earrings that come in very handy for last-minute accessorizing. From partying to boardroom meetings, when you need jewelry to complement your wardrobe or stand apart from the crowd, trust our collection of crystal earrings. We ensure that the purest crystals make it to this selection. These crystals are tested for their purity since many of them having healing effects and our customers continue to wear them for bringing more peace into their lives. There is every chance of seasonal discounts and special promotional offers that are usually communicated to those registered with us. We still recommend you to watch this space for new additions and the opportunity of grabbing a pair at surprisingly discounted prices. 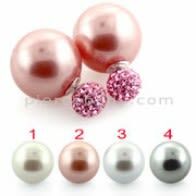 What makes Piercebody uniquely positioned in the niche of crystal earrings?